As quickly as it began, the UK's long national nightmare of spying trash cans is over. Within days of reporting that the city's "smart bins" would be equipped with smartphone-tracking software, Quartz has confirmed that city officials are shutting the whole thing down. 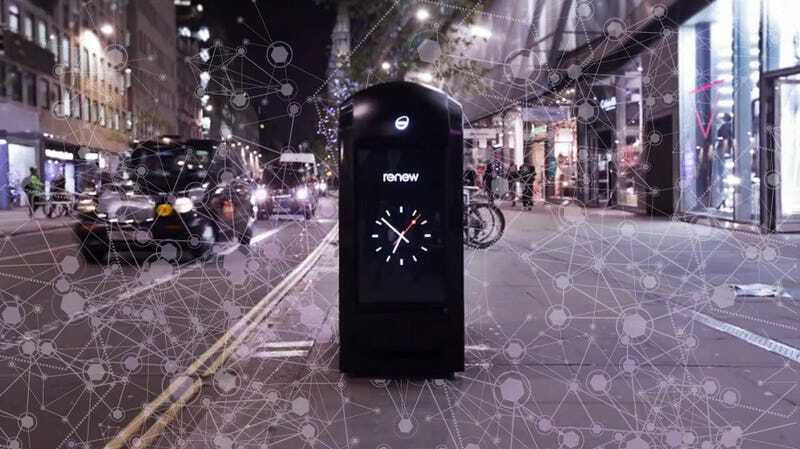 Renew, the company that makes and maintains the LCD-equipped trash cans that dot London's streets, had been testing a new software that would track passersby by detecting signals from their Wi-Fi enabled devices. While Renew and its partner, Presence Orb, insisted that the software couldn't identify information like names and addresses, it could observe and record data about the speed, direction, and overall patterns of commuters. A mid-June test of the program—which tracked over four million devices over a week—went relatively unnoticed, but extensive coverage of the project last week sparked public outrage. We have already asked the firm concerned to stop this data collection immediately and we have also taken the issue to the Information Commissioner’s Office. Irrespective of what’s technically possible, anything that happens like this on the streets needs to be done carefully, with the backing of an informed public. Renew's CEO, meanwhile, defended the project by arguing that media coverage had sensationalized the program. "I’m afraid that in the interest of a good headline and story there has been an emphasis on style over substance," he said today, "that makes our technology trial slightly more interesting than it is."